An epic year for snow in the Western United States has yielded some of the best ski conditions in a generation. In Aspen, a spate of new developments shows a resort town alas willing to embrace change, albeit through developments like W Hotel Aspen and The Limelight Snowmass, as well as a handful of new restaurants and bars dotting the fur-trimmed ski resort. Recently, we took to the town to affirm our long-standing favorites and to try-out the newcomers to see if they're worth a booking. Just off downtown's pedestrian walkway, we discovered Bosq in an understated dining room with counter bar that is perhaps the best newcomer in years. Its adventurous, globally inspired menu is a deviation from Aspen's love affair with steakhouses and Italian restaurants. We were pleased to see the resurrection of Aspen Kitchen again this season following a short closing and revamp earlier in the year. Casa Tua Aspen also seems to be finding its groove after its 5-year anniversary, while The Grey Lady lags and newer The Monarch struggles to find its crown in the ever-posh Dancing Bear. On the mountain, we were sad to see Cloud 9 more focused on their champagne showers than the quality of the food and service - which has always been one of our favorite experiences in Aspen. Luckily, Gwyn's High Alpine at Snowmass just completed a great remodel and Ajax Tavern perfects truffle fries and Grand Plateaus as great as ever. .
On the hotel front, Kimpton’s Sky Lodge will soon shutter to make room for W Aspen - only the second ever ski installment of the Starwood-brand. The now wow-less W boutique brand will hopefully find a way to refresh its image with this pedigree address following years of over-expansion. 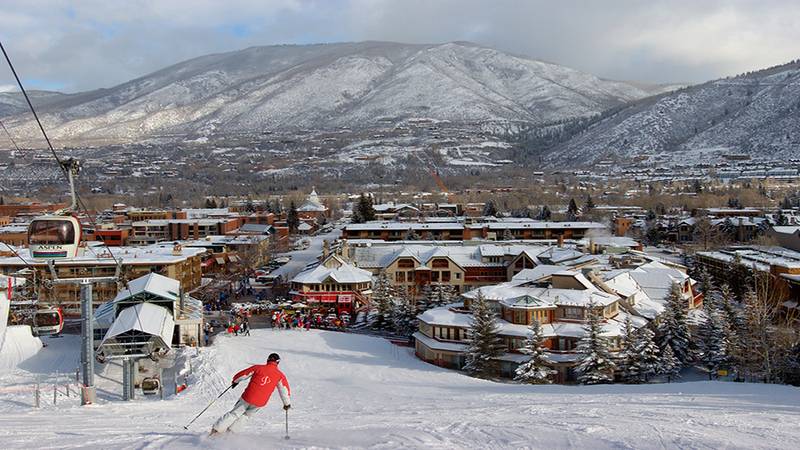 In Snowmass, Aspen Ski Co will also break ground on The Limelight Snowmass, previously planned to be a sequel to The Little Nell, the 4-star property will be a lesser price point and in line with the more family minded mountain. The Little Nell is on the heels of refreshing all of its guest rooms this spring in time for a Memorial Day unveiling. Lighter, brighter silhouettes chosen by designer Alexandra Champalimaud, who penned much of the Hotel Bel-Air remodel in LA, will reinvent the famed Holly Hunt interiors at the country's most iconic ski hotel.